Whether you’re truly entrenched in the wellness world or just a casual observer dipping a toe in the water, the amount of information out there can be overwhelming. Over the years I have collected many books. These books have really helped me along my journey and continue to teach me new things today. Creating your wellness library doesn’t happen instantly, nor does it happen without expense. It’s a process of selecting those books that are right for your current learning needs and desires. Below are some books that have helped me and I want to share them with you. Staying Healthy With the Seasons by Elson Haas M.D. This is one of our all-time staples and favorites, our go to for all our holistic nutrition quandaries. As our society removes itself more and more from nature we expect ourselves to be immune to its effects. Not so, Dr. Haas teaches us. He covers the seasonal shifts our bodies naturally take, how our diets should also evolve and change with five cycles for our healthiest and most in-sync selves. Food and Healing by Annemarie Colbin This book is a wonderful starting point for anyone interested in learning more about nutrition, the larger picture and what they can do individually for their own health. Her updated work includes information of various dietary systems, alternative medicine and narrows in on the various philosophies of thought through a thorough investigation of nutrition. Whole: Rethinking the Science of Nutrition by Colin Campbell Every time we label something as nutritious, a team of scientists investigates and tries to solve the answer of “why?” But when you talk about a whole food, the answer can be so much more complex or simple, depending how you look at it. As the followup to The China Study, Campbell is continuing to revolutionize the way we think about food and nutrition. There is scientific evidence behind his reasoning that a whole-food, plant-based diet is the healthiest way for mankind to eat. Whole is a must read for anyone interested in nutrition and health, who wants to comprehend the science behind it. Prescription for Nutritional Healing: A Practical A-to-Z Reference to Drug-Free Remedies by Phyllis Balch This book is a great go-to reference for anyone looking to learn more about the science of nutrition or looking for more holistic guidance for a health complaint, dietary or nutrition-based question. This one is always one of the first books we reach for. The Great Cholesterol Myth by Johnny Bowden Emerging science is showing that cholesterol levels are a poor predictor of heart disease and that standard prescriptions for lowering it, such as ineffective low-fat/high-carb diets and serious, side-effect-causing statin drugs, obscure the real causes of heart disease. Even doctors at leading institutions have been misled for years based on creative reporting of research results from pharmaceutical companies intent on supporting the $31-billion-a-year cholesterol-lowering drug industry. This book now includes 100 recipes for preventing and reversing heart disease! 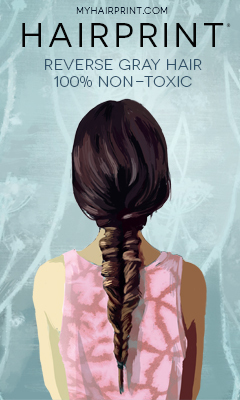 A Mind of Your Own: What Women Can Do About Depression That Big Pharma Can’t by Kelly Brogan M.D. Kelly Brogan, M.D., believes depression is a symptom of health imbalances starting with inflammation. Dr. Brogan suggests that women have the ability to heal themselves from depression through lifestyle changes including diet, detoxification, sleep, and stress management. Brogan aims to empower women to heal their bodies rather than just manage their symptoms. Eat Dirt: Why Leaky Gut May Be the Root Cause of Your Health Problems and 5 Surprising Steps to Cure It by Dr. Josh Axe A doctor of natural medicine, Dr. Axe believes in the importance of microbes to overall health and presents many ways to get these crucial organisms into your body. From incorporating local honey and bee pollen into your diet to skipping the hand sanitizer or ingesting probiotic-rich soil, there’s a plan for your gut type that’ll heal your gut and improve your overall health. Food Rules: A Doctor’s Guide to Healthy Eating by Catherine Shanahan Good health doesn’t have to be so complicated. The best diet for serious athletes is also the best diet for weight loss, heart health, cancer prevention, and just about everything else. In the spirit of those chefs, journalists, and food writers who have brought a spotlight to the importance of eating well, knowing source, and respecting traditions, Dr. Shanahan adds to this growing food revolution the voice of an experienced physician and scientist. Full of straightforward and memorable advice, Dr. Shanahan’s Food Rules offers key details that even her most health-conscious patients had been missing-the details that may save your health. How Not to Die: Discover the Foods Scientifically Proven to Prevent and Reverse Disease by M.D. Michael Greger MD The vast majority of premature deaths can be prevented through simple changes in diet and lifestyle. In How Not to Die, Dr. Michael Greger, the internationally-renowned nutrition expert, physician, and founder of NutritionFacts.org, examines the fifteen top causes of premature death in America-heart disease, various cancers, diabetes, Parkinson’s, high blood pressure, and more-and explains how nutritional and lifestyle interventions can sometimes trump prescription pills and other pharmaceutical and surgical approaches, freeing us to live healthier lives. Grain Brain: The Surprising Truth about Wheat, Carbs, and Sugar–Your Brain’s Silent Killers by David Perlmutter Renowned neurologist David Perlmutter, MD, blows the lid off a topic that’s been buried in medical literature for far too long: carbs are destroying your brain. And not just unhealthy carbs, but even healthyones like whole grains can cause dementia, ADHD, anxiety, chronic headaches, depression, and much more. 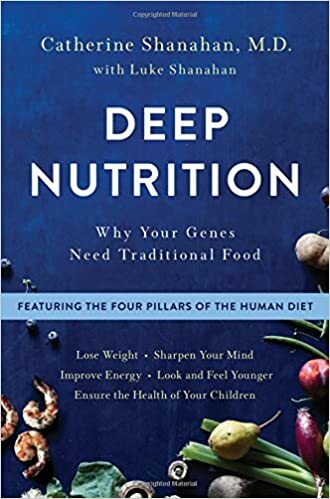 Dr. Perlmutter explains what happens when the brain encounters common ingredients in your daily bread and fruit bowls, why your brain thrives on fat and cholesterol, and how you can spur the growth of new brain cells at any age. Nourishing Hope for Autism: Nutrition and Diet Guide for Healing Our Children by Julie Matthews Julie Matthews, widely respected autism nutritionist, provides intense research and extensive clinical nutrition experience in this comprehensive guide. Readers are given practical steps for dietary intervention and a roadmap for getting started, evolving, and customizing the varied approaches. Nourishing Traditions: The Cookbook that Challenges Politically Correct Nutrition and Diet Dictocrats by Sally Fallon This well-researched, thought-provoking guide to traditional foods contains a startling message: Animal fats and cholesterol are not villains but vital factors in the diet, necessary for normal growth, proper function of the brain and nervous system, protection from disease and optimum energy levels. Sally Fallon dispels the myths of the current low-fat fad in this practical, entertaining guide to a can-do diet that is both nutritious and delicious. This book is a must have. Green Kitchen Smoothies: Healthy and Colorful Smoothies for Every Day by David Frenkiel and Luise Vindahl The book is divided into simple smoothies, post-workout favorites, breakfast ideas, energizers, desserts, and more. David and Luise also reveal their recipes for nut milks and butters, granola, muesli, as well as their favorite juices, which can be added to the recipes. Eat Real Food or Else: A Low Sugar, Low Carb, Gluten Free, High Nutrition Cookbook for the 21st Century by Mike Nichols MD Striving to avoid excesses and dogmatism, this book advocates a way of eating that finds an echo in various “modern” diets, including Atkins, Paleo, Whole 30 and Mediterranean. It provides simple, yet scientifically accurate, justifications together with delicious recipes that illustrate the principles. The Cancer-Fighting Kitchen: Nourishing, Big-Flavor Recipes for Cancer Treatment and Recovery by Rebecca Katz 150 science-based, nutrient-rich recipes that are easy to prepare and designed to give patients a much-needed boost by stimulating appetite and addressing treatment side effects including fatigue, nausea, dehydration, mouth and throat soreness, tastebud changes, and weight loss. A step-by-step guide helps patients nutritionally prepare for all phases of treatment, and a full nutritional analysis accompanies each recipe. This remarkable resource teaches patients and caregivers how to use readily available powerhouse ingredients to build a symptom- and cancer-fighting culinary toolkit. The Immune System Recovery Plan: A Doctor’s 4-Step Program to Treat Autoimmune Disease by Susan Blum Among the most prevalent forms of chronic illness in this country, autoimmune disease affects nearly 23.5 million Americans. This epidemic—a result of the toxins in our diet; exposure to chemicals, heavy metals, and antibiotics; and unprecedented stress levels—has caused millions to suffer from autoimmune conditions such as Graves’ disease, rheumatoid arthritis, Crohn’s disease, celiac disease, lupus, and more. Dr. Blums method focuses on using food as medicine, understanding the stress connection, healing your gut and digestive system and optimizing liver function. Each of these sections includes an interactive workbook to help you determine and create your own personal treatment program. Also included are recipes for simple, easy-to-prepare dishes to jump-start the healing process. Nourished Beginnings Baby Food: Nutrient-Dense Recipes for Infants, Toddlers and Beyond Inspired by Ancient Wisdom and Traditional Foods by Renee Kohley Start your baby on a nutrient-dense journey by preparing his or her first foods from scratch with healthy whole-food ingredients. Steal their taste palates away from processed ingredients by getting back to the basics. The Nourishing Traditions Book of Baby & Child Care by Sally Fallon The book provides holistic advice for pregnancy and newborn interventions, vaccinations, breastfeeding and child development, as well as a compendium of natural treatments for childhood illnesses, from autism to whooping cough. The work of Rudulf Steiner supports the book’s emphasis on the child’s spiritual requirement for imaginative play. Body into Balance: An Herbal Guide to Holistic Self-Care by Maria Noel Groves Herbalist Maria Groves shows you how to read your body’s signals and support your own wellness with herbal remedies and other natural treatments. You’ll learn how each of your major body systems — respiratory, digestive, immune, nervous, memory, reproductive, circulatory, and more — optimally functions, and you’ll discover how to use natural remedies to nourish and repair problem areas, restore lost vitality, support your body as a whole, and prevent future problems. Backyard Medicine: Harvest and Make Your Own Herbal Remedies by Julie Bruton-Seal Backyard medicine is a beautiful book, packed with nearly 300 color photographs and over 120 herbal remedies that you can make yourself. It gives a fascinating insight into the literary, historic, and world-wide application of the fifty common plants that it covers. It is the sort of book you can enjoy as an armchair reader or use to harvest and make your own herbal remedies from wild plants. Rosemary Gladstar’s Herbal Recipes for Vibrant Health: 175 Teas, Tonics, Oils, Salves, Tinctures, and Other Natural Remedies for the Entire Family by Rosemary Gladstar Promote vibrant health and radiant beauty, soothe everyday ailments, and ease persistent stress with these simple, natural cures for everything from dry skin and infant colic to cold symptoms and insomnia. Renowned herbalist Rosemary Gladstar provides 175 proven therapies and herbal remedies that are easy to prepare and safe enough for children. Offering a potent and effective alternative to commercial pharmaceuticals, Gladstar will inspire you to nurture yourself and those you love with nature’s healing herbs. The Herbal Medicine-Maker’s Handbook: A Home Manual by James Green An entertaining compilation of natural home remedies written by one of the great herbalists, James Green, author of the best-selling The Male Herbal. Writing in a delightfully personal and down-home style, Green emphasizes the point that herbal medicine-making is fundamental to every culture on the planet and is accessible to everyone. So, first head into the garden and learn to harvest your own herbs, and then head into your kitchen and whip up a batch of raspberry cough syrup, or perhaps a soothing elixir to erase the daily stresses of modern life. Herbal Healing for Women by Rosemary Gladstar Simple, safe, and effective herbal remedies for women of all ages. For centuries women have turned to herbs to cope with a wide variety of health problems and conditions. Comprehensive and easy-to-use, this book explains how to create remedies—including teas, tinctures, salves, and ointments—for the common disorders that arise in the different cycles of a woman’s life. Clinical naturopathic medicine by Leah Hechtman The text addresses all systems of the body and their related common conditions, with clear, accessible directions outlining how a practitioner can understand health from a naturopathic perspective and apply naturopathic medicines to treat patients individually. These treatments include herbal medicine, nutritional medicine and lifestyle recommendations. All chapters are structured by system and then by condition, so readers are easily able to navigate the content by chapter and heading structure. Homegrown Herbs: A Complete Guide to Growing, Using, and Enjoying More than 100 Herbs by Tammi Hartung Enjoy a thriving, fragrant herb garden and use your harvest to bring beauty, flavor, and health to your everyday life. Tammi Hartung provides in-depth profiles of 101 popular herbs, including information on seed selection, planting, maintenance, harvesting, and drying. Hartung also shows you how to use your herbs in a variety of foods, home remedies, body care products, and crafts. The Medicinal Herb Grower by Richo Cech This book covers principles and practices of natural gardening techniques for growing medicinal herbs organically. Using personal experiences and stories that are at once amusing and instructive, the author covers principles such as observation in nature, windows of opportunity, creating plant habitat, benefits of diversity, rules of green thumb, soil, seeds, water, sun, trees, humans, and the forest community. The second half of the book covers background, growth cycles of plants, preparing the ground, the greenhouse and the shadehouse, compost, potting soils, planting seeds, making cuttings, and caring for plants. Adaptogens: Herbs for Strength, Stamina, and Stress Relief by David Winston A comprehensive look into adaptogens, non-toxic herbs such as ginseng, eleuthero, and licorice, that produce a defensive response to stress in our bodies. Formerly known as rejuvenating herbs or tonics, adaptogens help the body to “adapt” to the many influences it encounters. They increase stamina and counter the normal effects of aging and thus are becoming important tools in sports medicine and in the prevention and treatment of chronic fatigue and other stress-related disorders. Herbal Antibiotics, 2nd Edition: Natural Alternatives for Treating Drug-resistant Bacteria by Stephen Harrod Buhner With antibiotic-resistant infections on the rise, herbal remedies present a naturally effective alternative to standard antibiotics. Herbal expert Stephen Harrod Buhner explains the roots of antibiotic resistance, explores the value of herbal treatments, and provides in-depth profiles of 30 valuable plants, noting the proper dosages, potential side effects, and contraindications of each. This comprehensive guide offers sound information on herbal alternatives to standard antibiotics, making it an indispensable addition to every family’s medicine cabinet.